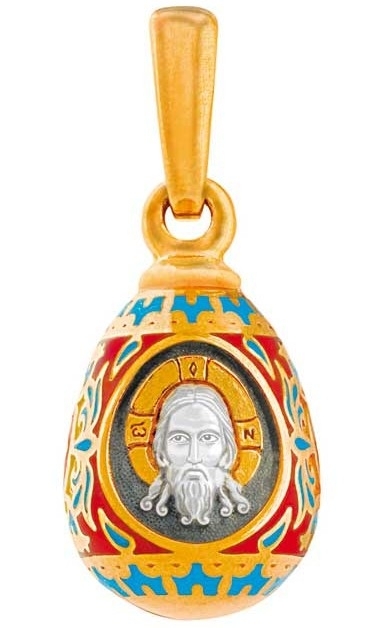 Traditional Russian Orthodox paschal egg (pendant). A copy of the XVI cent. prototype. Sterling silver, hot enamel, 5 mkm 24K gold-gilding, size: 0.79x0.39" (20x10 mm) average weight: 10 g. This cross comes in beautiful stylish jewelry velvet box. The price shown is good with an order subtotal of $5000 minimum for anything from our jewelry products (SKU starting with 'U').